This is a guide to the tools of Wiccan ritual. Click on the links within the article to find more information on individual ritual tools. Just about every religion incorporates sacred objects into its observance and practice. Whether it’s special vestments worn by religious officiants, statues of deities honored at shrines, candles, amulets, chalices or other symbolic items, people have been creating and utilizing physical artifacts—or “tools”—in order to create and maintain spiritual energy and focus in their ritual practices. Wicca involves the use of several tools, each of which has its own symbolic significance, particular uses, and specific placement on the Wiccan altar during ritual. You can read more about the specifics of individual tools by following the links below, or continue reading for a more general overview. Wiccan ritual tools are used to focus and direct spiritual (or “psychic”) energy for the purposes of connecting directly with the divine. There’s a subtle but important distinction, however, between this practice and the use of symbolic objects in other religions. Wiccans recognize that they share in the co-creative powers of nature as embodied by the Goddess and God, rather than being completely subject to the will of a higher power. Therefore, the tools of Wiccan ritual are both symbolic and practical, as each object and each action performed within the circle of sacred energy is deliberately intended to harness and direct this co-creative force. Tools are used to invoke and welcome deities and the energies of the Elements, to perform magical work, and to protect against unwanted energetic influences, among other functions. However, it’s important to recognize that the tools don’t have magical powers in and of themselves—they only work as conduits of the personal power of the Wiccan who uses them. The exact set of ritual tools considered to be at the core of Wiccan practice will vary depending on the tradition. Some covens and solitaries observe highly elaborate rituals using a diverse array of objects, while others keep things relatively simple, using some tools for a multiple ritual functions. That being said, the most commonly cited tools used in a basic ritual are the chalice (or cup), the wand, the pentacle, the athame (or ritual knife, pronounced “a-tha-may”), the censer (for incense), and one or more candles. Other frequently mentioned tools—which, again, may be considered essential tools depending on tradition—are the broom, the cauldron, the bell, the sword, the staff and the ritual scourge. Furthermore, there are a number of items that contribute to ritual but are not considered “tools” in and of themselves, such as images of the God and Goddess, a boline (a special knife used for cutting and carving), a plate for ritual food and/or other offerings, crystals and herbs, altar cloths and decorations, etc. Of course, it’s not at all necessary to have all of these things in your possession in order to start practicing Wicca. In fact, it’s generally recommended to start small, acquire tools one or two at a time, and gradually build your ritual practice as you go. 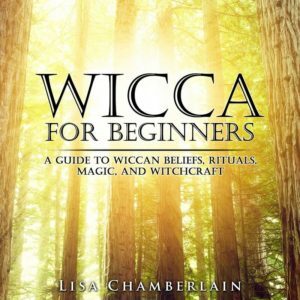 To people new to Wicca, these tools can seem somewhat random and arbitrary. Why are things like knives, cups, bells and pentacles deemed necessary for communing with spirit energy? There are many possible answers to this question, but ultimately it takes much time, study, and patience in order for the tools of ritual to make true “sense” to any practitioner. This is a big part of the reason for the custom of studying for a year and a day before devoting oneself to the practice of Wicca. 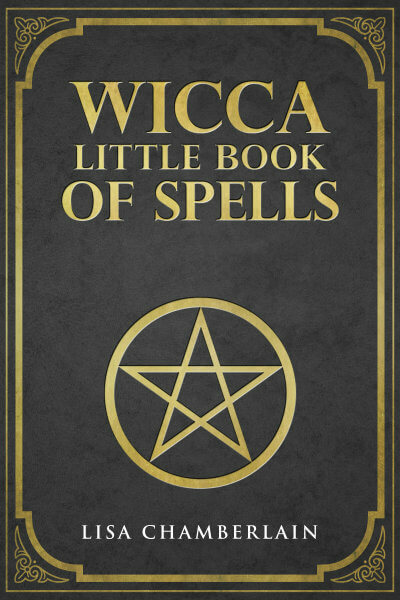 And it helps to learn as much as you can about the history of Wicca’s development, as well as the many spiritual traditions it draws from, some of which date back to antiquity. One major influence on modern Wicca was the British occult revival of the late 1800s, which saw the rise of secret societies like the Freemasons and the Hermetic Order of the Golden Dawn. These groups, drawing influence from medieval magical sources such as the Key of Solomon, practiced various forms of ceremonial magic that involved the use of ritual tools. Four of these tools in particular—the chalice, the athame, the wand and the pentacle—were adopted into the traditions of Witchcraft that later became known as Wicca. Other tools come from older influences, such as Celtic pagan traditions involving the cauldron and the broom, and incense, which has been used around the world since before recorded history. As mentioned above, it’s rarely thought to be a good idea to go out and buy a bunch of potentially expensive items in order to consider yourself a Wiccan. Unless you have specific instructions from a coven you’re seeking to join, you have a lot of leeway in terms of how to proceed. You can certainly find beautiful tools in New Age/Wiccan shops, and this can be a delightful experience if you’re lucky enough to have access to one. Of course, online shops abound as well, and though you don’t get the luxury of holding and truly sensing the energy of the items until you’ve already made your purchase, this is still an acceptable option. However, you can also get a bit more creative and seek out objects that you already own and can be repurposed. For example, a special cup or goblet can become your chalice. Second-hand shops are also excellent places to find unique possibilities for athames, offering plates, and the like. If you have some artisan skills, you can make plenty of your own tools. You can also look for them in nature. In fact, some Wiccans prefer that their tools be made from materials as close to nature as possible—using a small tree branch for a wand or a clam shell for a chalice. Perhaps the most magical way to acquire your tools is to send out an intention for them, and watch as they show up in your life, one by one. Keep an eye out, but don’t be impatient, and you will be delightfully surprised when the wind blows a wand-sized branch right up to your door, or the perfect hand-made broom shows up at a yard sale. No matter how you acquire them, it’s crucial to clear your tools of any residual energy from their former environments, and consecrate them for the purpose of ritual practice. (Note: even though some Wiccan businesses offer specially-consecrated items, it’s still best to put your own energy into your tools, rather than relying on someone else’s.) Once you’ve taken this step, it’s best to store your ritual tools together in a private space where their sacred energy will not be mixed in with the mundane objects of everyday life. As far as what you need for your first ritual, many Wiccans agree that starting with one tool for each of the Elements is the best approach. This generally means having a pentacle for Earth (though a bowl of sea salt will do), a chalice for Water, a wand for Air, and an athame for Fire. What matters most, however, is that you feel an energetic connection with the tools you’re using. So don’t start with any tools that don’t feel right to you. Remember, for all of the physical action in Wiccan ritual, the power is really in the nonphysical—the energetic connection between you and the divine. The truth is that tools are not really strictly necessary—adept Wiccans can interact with this energy without them, simply by drawing on their personal power and focused attention. But this takes tremendous time and practice. For the rest of us, as sensory creatures who learn from patterns, symbols, and symmetry, ritual tools help us train and keep our focus where it needs to be—on the energetically charged space of the sacred circle. And since the vast majority of Wiccans also use these tools, we are joining up with the collective power of their energetic influence on the spiritual plane whenever we take them in hand.